Check out this first tattoo! Yes, you heard that right. His first tattoo. 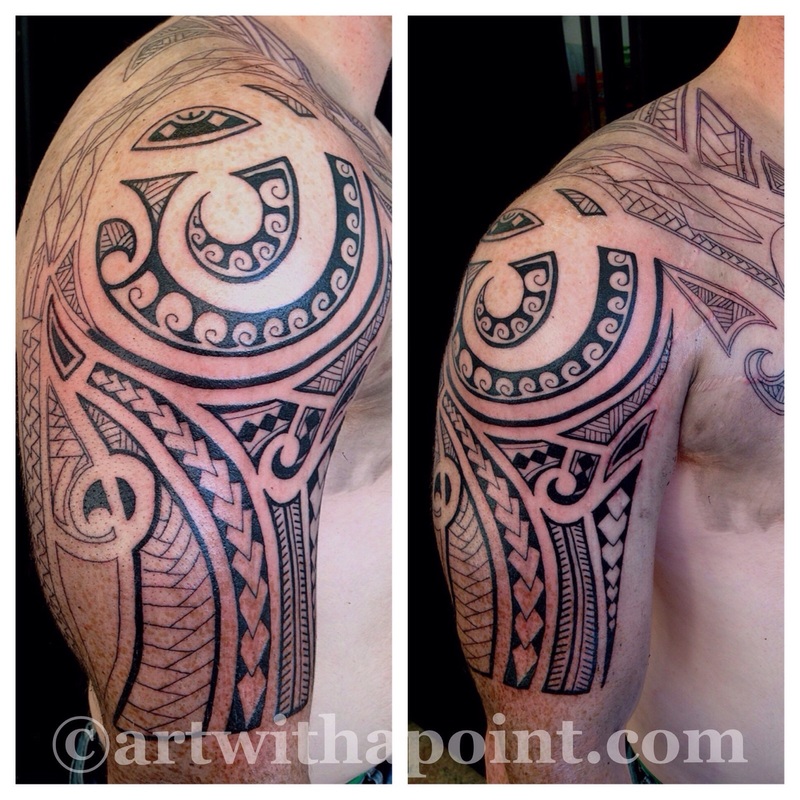 This custom tattoo half sleeve was developed to fit and flow with the specific placement Josh requested. The detail and geometry within the tattoo were based on several reference images he provided that contained specific patterns he wanted to incorporate. And here’s the piece at the end of the first appointment. One more sitting to go!